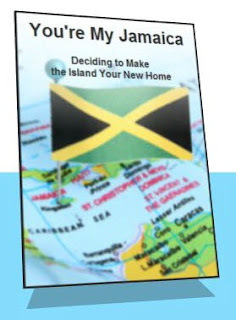 Moving Back to Jamaica: Dead Yard -- Just Starting the Book! A blog about my Move Back to Jamaica after 20+ years of living in the US. Most of the articles focus on the period from 2005-2009 when the transition was new, and at it's most challenging. Dead Yard -- Just Starting the Book! 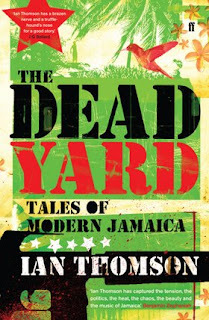 I have just started a fascinating book -- The Dead Yard -- that can be found on Amazon's UK website, but still isn't available in Jamaica. It's written as a travelogue by an English writer, and at this point in the book he just interviewed a woman who failed in her return to Jamaica and had to return to London. He also interviewed a couple who returned to Jamaica and stayed, but remained separated from any of the local Jamaicans. He quotes the woman who returned as saying that the country you leave is not the country you return to. I found this profound, and oh so true. For Jamaicans who return, it's absolutely futile to try to return to the country of one's youth. It simply does not exist, except in the mind's eye. The returnee who expects Jamaica to match the mental image conjured up by history is a recipe for failure, which means that one is better off coming home with a flexible, open mind that is willing to enter into an entirely new experience. This is very true. We have changed as a people, as to be expected. a small mark at the time of my passage on your very beautiful blog! you have a translation of my English space! Change has occurred in every country and every societ. It irks me when folks as though they are emerging from a life time coma say "Jamaica has changed!" Yes and so has wherever you are coming from you might not have noticed as you were immersed in that process. I read the book the Dead Yard awhile back, its great. Some of the stories are sad but for me it gave me a better understanding of the history of Jamaica. I am of Jamaican parentage so I had no ideas just knew that I wanted a different life. Have I found what I am looking for? Stay on top of things -- receive my weekly newsletter which includes a summary of recent posts, and information not available on the blog. Enter your email address below and click on "Subscribe Me."